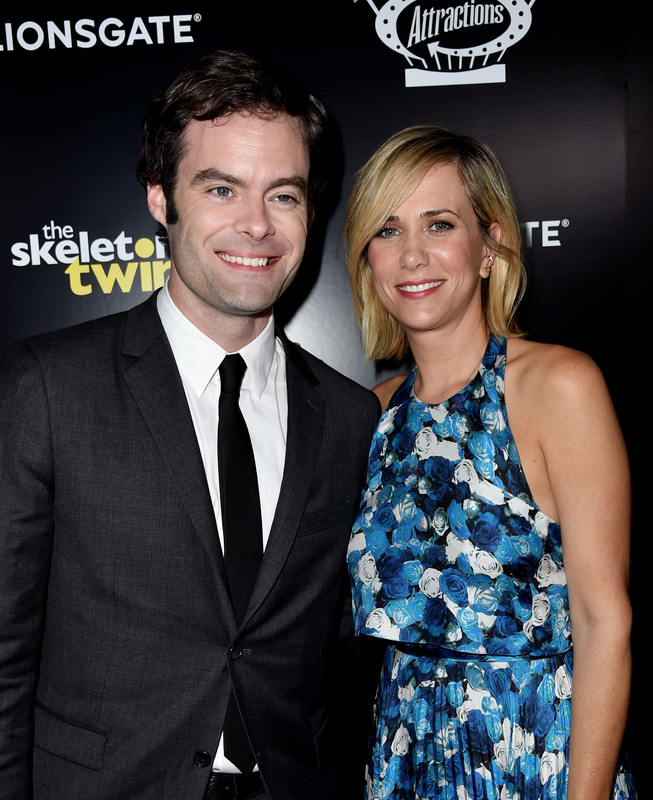 If you're the kind of person, like I am, who experiences crippling, blush-inducing secondhand embarrassment for anyone, even strangers who you've never met nor will ever meet, this interview with Kristen Wiig and Bill Hader may very well just kill you. No, I'm not exaggerating. You just haven't seen it yet. Actually, speaking of not seeing things, neither did the interviewer. Wiig and Hader's movie, The Skeleton Twins, that is. Which, would have been wise to do considering he was interviewing them about the movie. Basically, here's what you have to know: Instead of skating through this interview making vague comments and smiling and nodding his head as he should have done, as Wiig and Hader promoted the film, he made the fatal mistake of getting specific. It's almost like this guy never lied his way through a college English class. You see, he did a great job with his specificity, except that he was referencing Wiig's other movie called, Welcome to Me. If you're blushing with me at this moment, you're doing well. Wiig and Hader obviously couldn't let the wrong references go, because, well... they actually have a movie that they'd like people to see, and so they made a joke out of the whole situation. But it didn't make it any less mortifying for the interviewer, or us poor bleeding hearts watching.